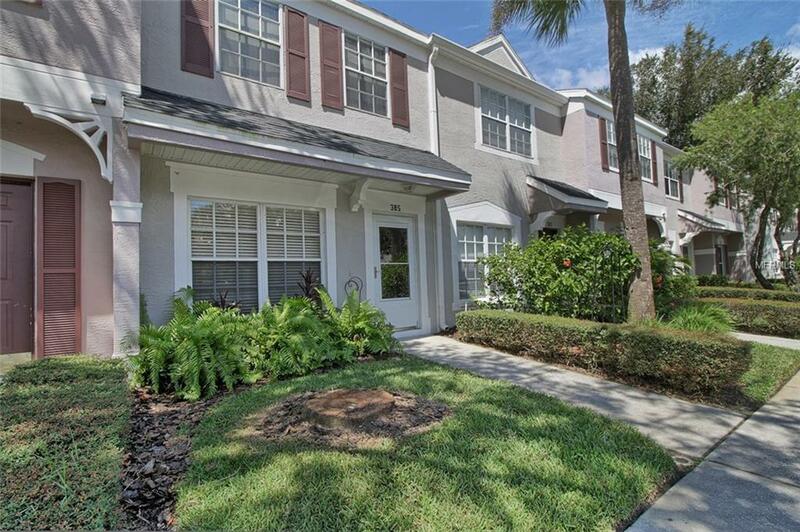 Beautiful 2 bedroom, 2 bathroom with 1 half bath townhouse for sale in the gated community of Countryside Key. Walk in to an open floor plan with living room/dining room combo, half bath, enclosed porch and kitchen all located on the first floor. Its kitchen features a breakfast bar top, closet pantry, double under-mount stainless steel sink, dishwasher, range oven, refrigerator, and utility closet with washer and dryer hook up. Upstairs you will find 2 bedrooms each with its own bathroom and both bathrooms having a shower/tub combo. Countryside Key is a gated community not in a flood zone and features optional RV/Boat parking from waiting list, tennis courts, and community in ground pool. This townhouse is one you don't want to miss!